Can you contribute to our Newsletter? Including the ever popular Planning this Quarter and Items for Your Diary. We are always looking for contributions to the Newsletter. We need articles, for example from people who remember Wycombe in its earlier days, or with a novel angle on local matters. We need letters with outspoken comment, which we welcome from anybody. And we particularly like to receive drawings and cartoons. Contributions or questions can be sent by e-mail to the Editor or post (see below). 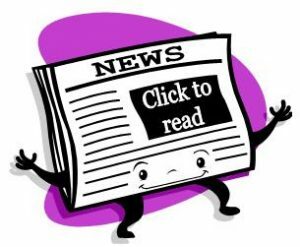 The High Wycombe Society Newsletter is published four times a year and is usually 12 pages long. It is issued free to members. Our deadlines for contributions are the 20th of February, May, August and November, and the Newsletter is distributed by our volunteer postmen the following month. The Newsletter covers the work of all the Society’s groups, the quarterly meetings and other events. Letters to the Editor may also be published. The Society’s Newsletter Archive contains all the newsletters published since Autumn 1998. They can be accessed on the Newsletter Archive page. The Society started issuing Newsletters way back in 1969 but back then they were simple duplicated sheets prepared by typewriter (remember them?). We are starting to scan these and convert them to a digital format and as we do so they will appear on the Very Old Newsletters page. This will not be a quick job as our archive copies do not scan easily and for many years were foolscap size which does not fit on modern scanners. Nevertheless we will persevere and the archive will slowly expand. There are some interesting items in these old Newsletters and many of the issues then are still around today. Enjoy, and please send comments to the present Editor or even comment on Facebook.